Our chums at the Society for Music Theory have unveiled no. 1 of their Videocast Journal of the Society for Music Theory: “Repetition & Musicality,” by Elizabeth Hellmuth Margulis, Margulis is Professor of Music at the University of Arkansas, where she directs the Music Cognition Lab. You can subscribe at iTunes. We embed the Vimeo video below, but recommend getting at it through the SMT homepage, which is, likewise, impressive. And, yes, we are jealous. Herewith, the first of several posts on Louisville, which will host the national meeting of the American Musicological Society in November. It's a happening place. The Music Composition Award is one of a quintet collectively known as the Grawemeyer Awards™, founded in 1984 by philanthropist H. Charles Grawemeyer “to help make the world a better place” (website home HERE; with links to history, rules, etc.) This “industrialist, entrepreneur, astute investor, and philanthropist” gave an initial endowment of $9 million to his alma mater, the University of Louisville. A year after its creation, the first award for Music Composition was given to Witold Lutosławski for his Third Symphony (1985). Though a chemical engineer by trade who attended the University of Louisville’s Speed Scientific School during the Great Depression because he could not afford to study outside his hometown, Grawemeyer “cherished the liberal arts and chose to honor powerful ideas in five fields in performing arts, the humanities, and the social sciences.” Thus, after the initial Music Composition category, Ideas Improving World Order was added in 1988, Education in 1989, Religion in 1990 (as a joint award with the Louisville Presbyterian Theological Seminary), and finally Psychology in 2000. To recognize Grawemeyer’s own amateur status, each award committee is set up so that laypersons have a voice during the deliberations. 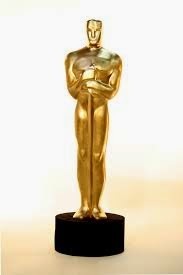 The process for the Music Composition Award is as follows: “after an initial screening [by University of Louisville music faculty], the Grawemeyer Music Award Committee will appoint a jury of three internationally recognized music professionals: normally a composer, a conductor, and a critic. Each juror will select, from the qualifying scores, up to three works they deem worthy of the Award.” These selected works are then submitted anonymously to the Final Committee [of “non-professional, but knowledgeable” laypersons to be judged by listening only. The Final Committee then recommends one of these works to the president of the University of Louisville, upon which the president and Board of Trustees grant the Award. The nominated score, a recording of the work, and documentation of the premiere are sent to the Grawemeyer Music Award Committee. The university retains all the submitted scores and recordings, housing them in the Grawemeyer Collection of New Music, a part of the Library of the School of Music. The collection presently includes over 2,500 entries, many of which are unpublished and unavailable elsewhere. (The collection is searchable online here.) Previous winners include Györgi Ligeti (Etudes for Piano, 1986), Joan Tower (Silver Ladders, 1990), John Corigliano (First Symphony, 1991), John Adams (Violin Concerto, 1995), Kaija Saariaho (L’amour de loin, 2003), and Peter Lieberson (Neruda Songs, 2008). The 2015 award was given to Wolfgang Rihm for the orchestral IN-SCHRIFT-II. The entry form is available HERE. Meanwhile the Collection of New Music staff cordially invites visitors to Louisville to come have a look. They promise research topics in abundance. Christopher Little is a Ph.D. candidate at the University of Kentucky writing his dissertation on the persistence of Romantic sensibilities and style in England during the early twentieth century. Our associates at the Society for American Music and Cambridge University Press saw fit to promote the “Oscar-worthy” special issue of their journal with a pretty good deal. Read on. You can access all these articles, for free, by clicking the button below. *Complimentary access ends 30 April 2015. Musicologist David Trippett, winner of the American Musicological Society's 2014 Lewis Lockwood Prize for Wagner's Melodies: Aesthetics and Materialism in German Musical Identity (Cambridge University Press, 201) has been awarded a Philip Leverhulme Prize for 2014. 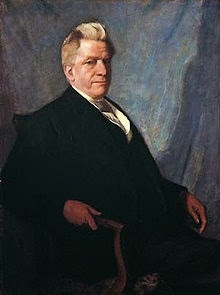 Philip Leverhulme Prizes have been offered in the UK since 2001 in commemoration of the contribution to the work of the Trust made by Philip Lever, the Third Viscount Leverhulme (1915–2000), grandson of William Hesketh Lever, 1st Viscount Leverhulme (1851–1925), the founder of the Trust. The first Viscount, there, was no mean figure. 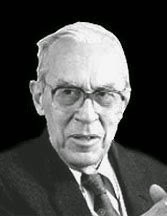 One of the Lever Brothers of soap fame (Lux, Lifebuoy, Breeze), he developed one of the first international empires of consumer goods; in 1930, shortly after his death, it merged with a Dutch margarine concern to become Unilever, an early international conglomerate that today claims its products reach 2 billion people every day. The trust was formed in 1925 as a provision of Lever's will, to offer "scholarships for the purposes of research and education." Wagner's Melodies also won last year's Donald Tovey Memorial Prize of the University of Oxford, and was cited as one of several notable music books published in 2013 by Alex Ross in his blog, The Rest is Noise. Previous work by Trippett earned the Alfred Einstein Award of the American Musicological Society and, in 2013, both an ASCAP Deems Taylor Award and the Bruno Nettl Prize of the Society for Ethnomusicology. This year's Lewis Lockwood Award goes to a book that is truly interdisciplinary in scope, integrating methods and fields as diverse the history of science, philosophy, music theory, linguistics, and psychology, bringing these resources to bear on a topic that is at once central to the history of music, and yet curiously elusive: that of melody. Although melody has been called the soul of music, it has escaped any sort of precise definition and resisted any rigorous theoretical formulation. The composer whose melody this book considers is none other than Richard Wagner, who valorized melody as much as anyone in the nineteenth century, even as critics accused him of lacking any sort of melodic gift. The book explores these tensions; in the process it greatly expands our understanding of Wagner's complex cultural position, while also transforming our understanding of his music in important ways. 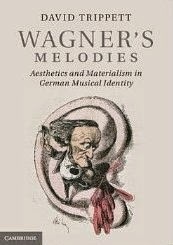 The award goes to David Trippett, for his book Wagner's Melodies: Aesthetics and Materialism in German Musical Identity. AMS member David Trippett holds the Ph.D. degree in musicology from Harvard and is Lecturer in Music at the University of Bristol—also an active professional pianist. Read more about him at his [very impressive] WEBSITE. With the boom in national identity and manufacturing in the decades following World War II, the American music industry was a particular point of pride. The reason the annual awards are called “Grammys” is in tribute to Emile Berliner, the American inventor of the gramophone. In fact, so important was the idea of American innovation and manufacturing that the other name they were considering was “the Eddies,” in honor of Thomas Edison. The message here is pretty clear: no home was complete without a music player. It might double as a piece of high-end furniture, and was less ostentatious than Google Glass. This was as much a matter of fashion as of art. And design: nowadays you’re more likely to find these pieces exhibited as prized collector items. Reminisce is a North American nostalgia magazine. They don't make American icons like Virgil Thomson and Leonard Bernstein anymore. For decades during the last century, each artist reigned with unchallenged authority in his particular sphere, Thomson as the nation's most brilliant and erudite music critic, Bernstein as America's towering conductor, composer, pianist, educator, author and cultural celebrity, classical music's Great Explainer. Directly or indirectly, each artist helped to put classical music at the center of mainstream cultural discourse in the U.S., a position it hasn't held since their passing (Thomson died in September 1989, Bernstein a little more than a year later). Each was as much a product of his time and place as he was a significant influence on how classical music was and is made, marketed and received. The recent publication of two hefty anthologies of their writings—the music criticism and essays Thomson wrote for the New York Herald Tribune from 1940 to 1954; and the correspondence to and from Bernstein from 1932 until just before his death in 1990—sheds a revealing light on a golden age in America's musical life, as seen from the perspective of key figures who helped shape it. 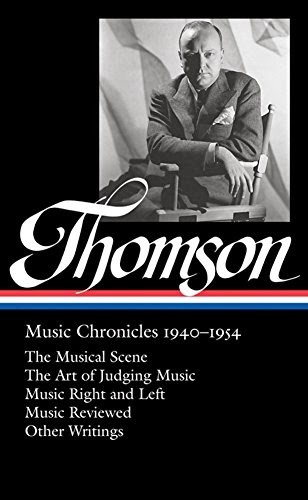 Like most critics, Thomson had his biases and idiosyncrasies, and he apparently saw no conflict of interest in reviewing artists who played or sang his music. Unlike most of his colleagues, he wore his learning lightly and deployed the English language elegantly and straightforwardly. He is one of the very few music reviewers of any era whose writings compare favorably with those of another brilliant critical stylist, George Bernard Shaw. When Thomson was wrong (as he certainly was in his withering dismissal of Shostakovich and Sibelius), he was grievously wrong. Whether his judgments were fair or unfair was far less important, however, than the reasoning behind them and the conviction with which he expressed them. Let's be grateful for the discerning critical intelligence of Virgil Thomson and for the fact that his musical observations, in all their plainspoken wisdom, have been made permanently available, at long last. Let's be grateful, too, that Bernstein hoarded just about every scrap of correspondence that passed between him and colleagues, collaborators, lovers, artists, writers, celebrities and musical friends. Without them and without the voluminous Bernstein Collection in the Library of Congress, we would not have The Leonard Bernstein Letters, which Yale University Press has newly issued in paperback, complete with editor Nigel Simeone's meticulous footnotes and informative chapter introductions. Dip into any part of this compulsively readable volume and you'll come away with a sense of the boundless love of music and boundless belief in himself that drove Bernstein and helped make him the most important musician America has yet produced. Virgil Thomson: Music Chronicles 1940–1954, ed. Tim Page (Library of America). 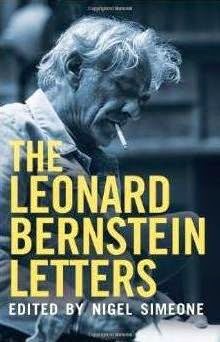 The Leonard Bernstein Letters, ed. Nigel Simeone (Yale UP). John von Rhein has been the classical music critic of The Chicago Tribune since 1977.